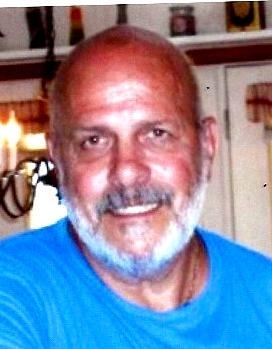 James "Jim" Gibbs, age 72. Resident of Alexanderia, KY. Passed to his eternal home on Wednesday, April 3, 2019 at the St. Elizabeth Health Care, Edgewood, KY. He was a retired paper cutter machine operator for the R.R. Donaldson Printing Company and a Vietnam Navy veteran. Enjoyed wood working and cooking family meals. Preceded in death by his: son James Anthony Gibbs; parents Denver Earl and Alberta Ferguson Gibbs and brother Denver Allen Gibbs. Survining are his: wife Virginia Byrd; son Josh (Sam) Gibbs and 7 grandchilden: Visitation Sunday, April 7th 2:00 pm until hour of service 4:00 PM at the Allison & Rose Funeral Home, 5645 Taylor Mill Road, Taylor Mill, KY. Committal service and interment 11:00 am Monday, April 8th at the Floral Hills Memorial Gardens, Taylor Mill, KY. Memorials, if desired, may be directed to the American Lung Assn., P.O.Box 9067, Louisville, KY 40209.